We had a great meeting on the 19th and I wanted to provide some of the links from our meeting. We talked about New Years resolutions regarding goal setting and referenced a couple of cool web sites, Joe’s Goals and 43 Things. I also talked about a free hard drive troubleshooting book that is available and you can get it here. In the security portion of the meeting I had showed your the MasterLock Vault and their free services. 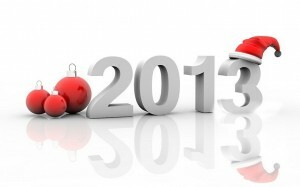 Hello and Happy New Year to all TCMUG members and friends. We are having a meeting on Saturday, January 19th from 2:00pm to 4:00pm at our usual meeting place, the ECOESC. We will be covering passwords, security, basic privacy and other protocols to make your computer experience enjoyable, safe and have some piece of mind. We will also touch base on iTunes 11 with a brief overview. We look forward to seeing everyone there on the 19th.